The U.K. elections and the ECB policy statement are lined up this week, so I’m sure we’ll see a lot of action on these euro crosses soon! 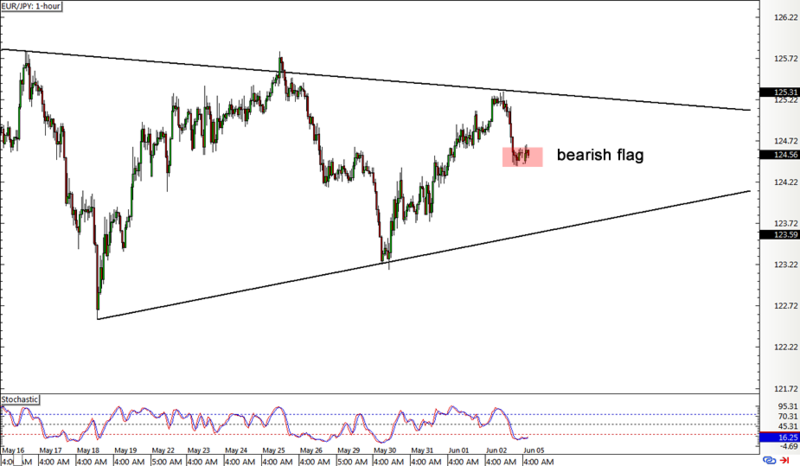 EUR/JPY is in the middle of a triangle formation on its 1-hour time frame, just after bouncing off the resistance. Price might have enough momentum for a test of support now that a bearish flag has formed. Now this chart pattern is typically considered a continuation signal, and a breakdown could lead to a drop of at least 75 pips or the height of the mast. However, stochastic is already indicating oversold conditions so buyers could still put up a fight. Guppy pulled up to that channel resistance and correction area I was watching last week, and the pair now seems to be setting its sights back on support. 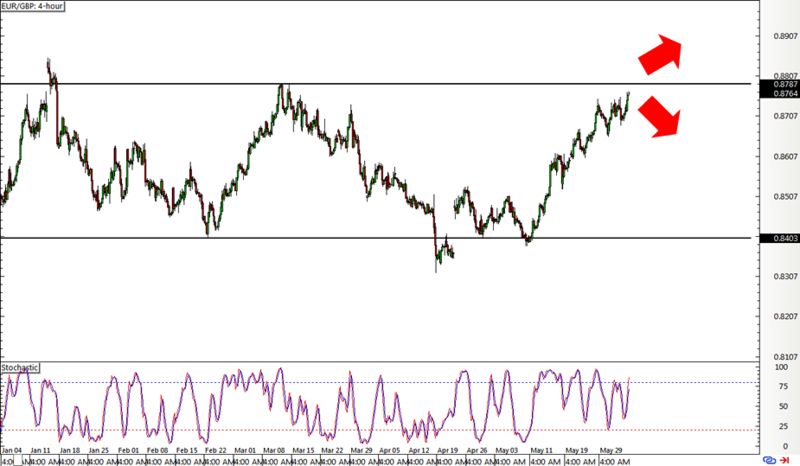 Stochastic is in the oversold area so a return in bullish pressure could be underway. 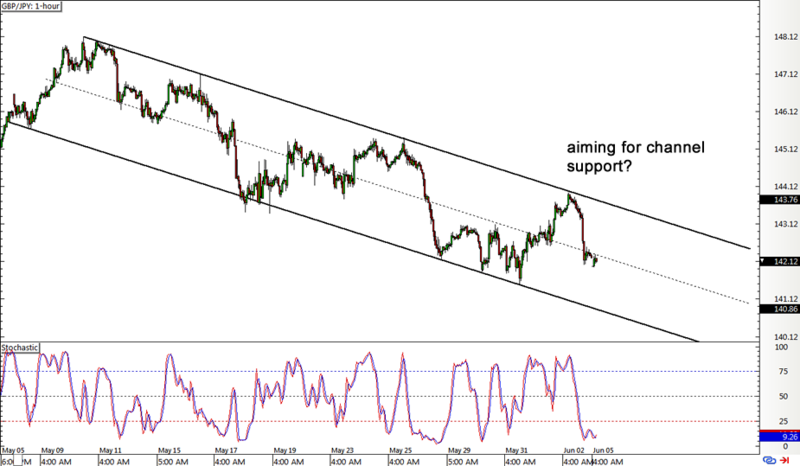 In that case, the mid-channel area of interest could hold as support and trigger a bounce back to the resistance or PWH. However, I’m also seeing a bearish flag pattern on this pair so there’s a chance that bearish momentum could resume and lead to a drop back to the channel support around the 140.50 minor psychological mark. This pair is now closing in on the range resistance visible on its 4-hour time frame, and could be due for a big move with the top-tier reports lined up. Stochastic is still pointing up so there may be some buying pressure left for an actual test of resistance before bears take over. Of course most of this hinges on the turnout of the U.K. elections as political uncertainty could mean more pound weakness.